This is another recipe from the new Barefoot Contessa cookbook Foolproof. This was a truly decadent lunch – tagliatelle in an amazing sauce made of cream (of course), gorgonzola dolce, prosciutto, peas, garlic, onions, basil and parmesan. How can this not be amazing?! Delicious. 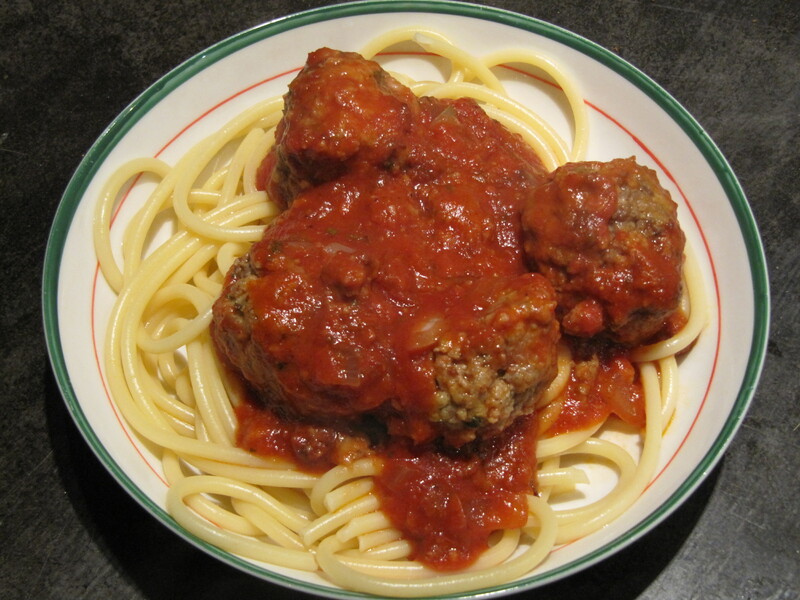 To me, spaghetti and meatballs is a comfort food dish, right up there with meatloaf and shepherd’s pie. Instead of spaghetti, I chose bucatini which is like a thick spaghetti with a hollow centre, like a really long skinny ziti. 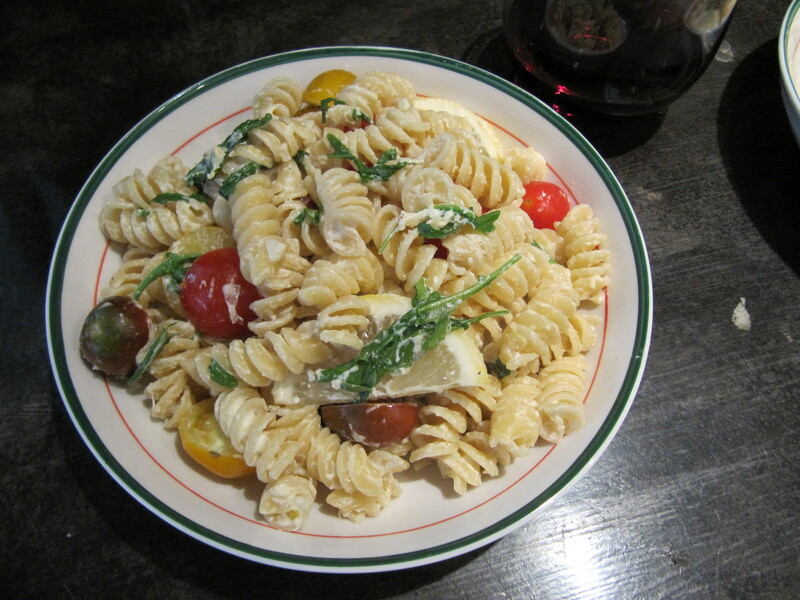 This recipe is from the Barefoot Contessa Family Style cookbook and can be found here. Today was a good kitchen day! I made two recipes and served them both for supper. 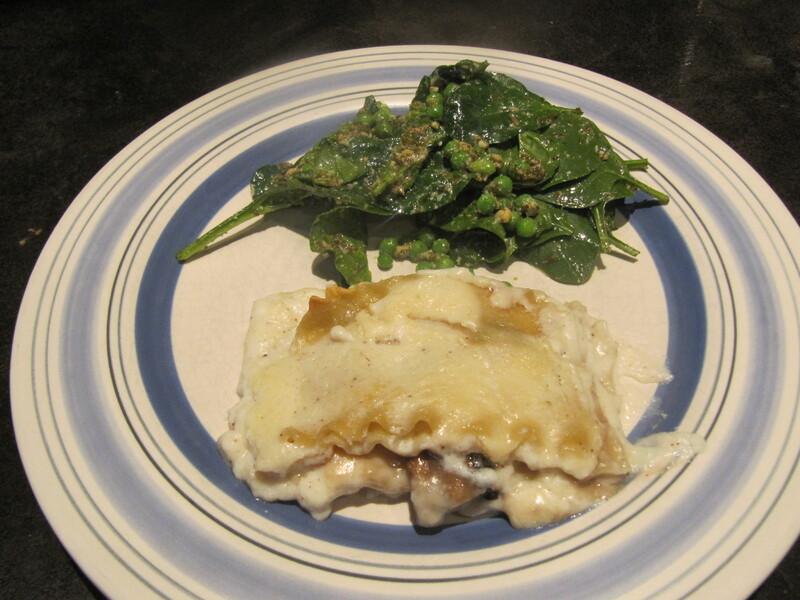 The first was a vegetarian lasagna with Portobello mushrooms and decadent sauce with cheese. Truly wonderful – yummy comfort food. Both recipes are from the Barefoot Contessa at Home cookbook. I made this for lunch and served alongside grilled salmon fillets. 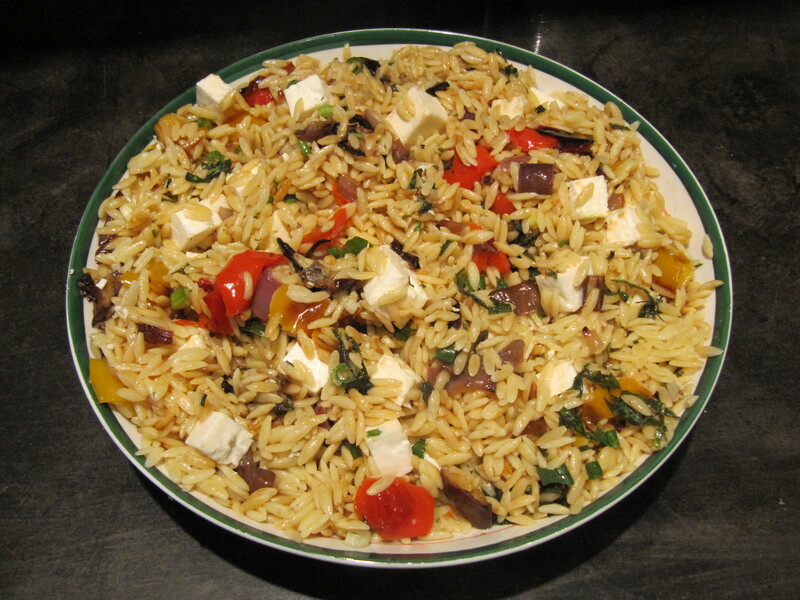 The roasted veggies are sweet and add a nice depth to the orzo; the dressing (olive oil, lemon juice, s&p) and feta give it a nice tang; the scallions and fresh basil add some freshness – it’s an awesome dish that’s served at room temp. A definite keeper and a recipe I’ll be making again. It’s from the Barefoot Contessa’s Parties cookbook and the recipe can be found here. This brings my total recipes completed to 158 of 607! Oh my lord, was this ever good. The lemon sauce is flavourful yet light, the arugula gives it some zing, the tomatoes add that perfect summer freshness we all want at this time of year. And all in about a half hour start to finish. This one will likely become a new staple in our house. We enjoyed this for lunch along with a nice 2009 Rosewood Pinot Noir. 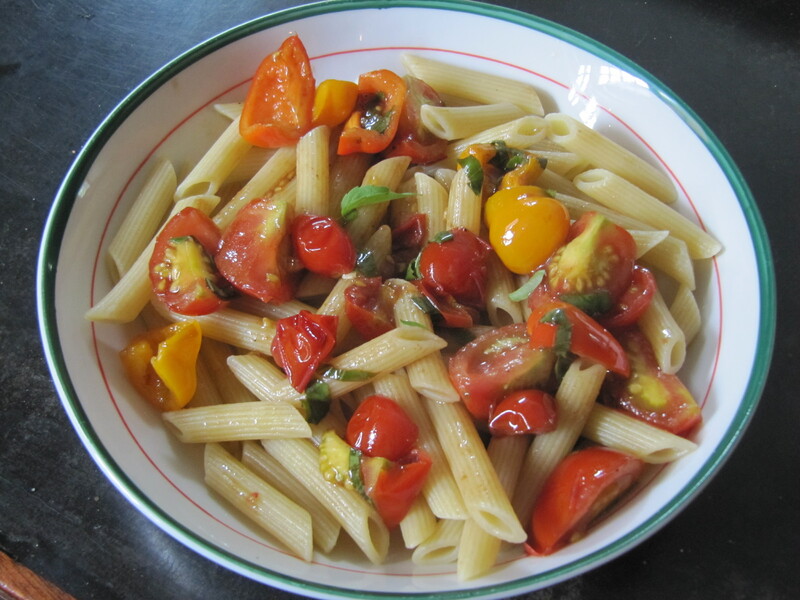 I also used different coloured tomatoes to give it some additional colour. This recipe is from the Barefoot Contessa at Home cookbook. The recipe can be found on the Food Network site here.